The name Tint in Gelato reminds me of a summer day at the beach, with a cold strawberry ice-cream in my hand. 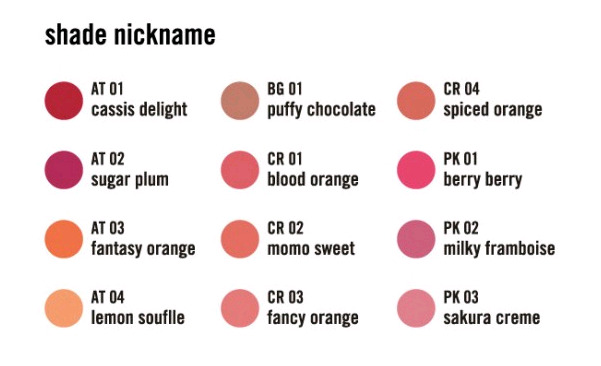 I have that mental image when I first came in contact with the latest Shu Uemura lip and cheek color. This is a new product in Shu Uemura's lip range, launched in April 2014. Fresh and creamy gelato-like unique formula magically changes from a thick to thin layer for variation of finishes; from intense dewy to soft matte finish. It has a creamy texture like soft lipstick. When you glide on, it has a matte finish. 1. Controllable coverage. It has a special ingredient called elastromeric gel that has a very soft and silky, sensorial texture for easy spreading and blending. Thin application results in a semi-matte look with a natural sheen finish, or use delicate layering for good color pay off. 2. Contains aquapump complex that combines aqua pump and ester emollient oil. It forms a barrier on the skin and prevent water loss. 3. Has a duo function - as lipstick or blush for cheek. This is not a normal color that I would choose. Since this is a sponsored product, I went a little adventurous and choose a bright fuchsia which they called Sugar Plum AT 02. There was no specific purpose why I chosen the color. In fact, I had a hard time choosing one out of the 12 available shades. There are two applications - either you use it as a lip product or a blush. If you are applying it as a cheek blush, use it on top of your fluid foundation. Or if you're using compact foundation, use it underneath the compact. I admit that I don't have the right skill to blend color stain on my cheek. 99% of the time, I will end up looking like wayang cina, so I won't even attempt to do it. However, it looks really perfect on my lips. I applied a generous coat with the applicator for a more intense coverage. The color pay off was really good. I love how the bright fuchsia pink contrast with my cobalt blue dress. It also gives a dewy stain result. For a more tone-down look, I dap the color on my fingertip and spread it on my lips for a softer and natural look. 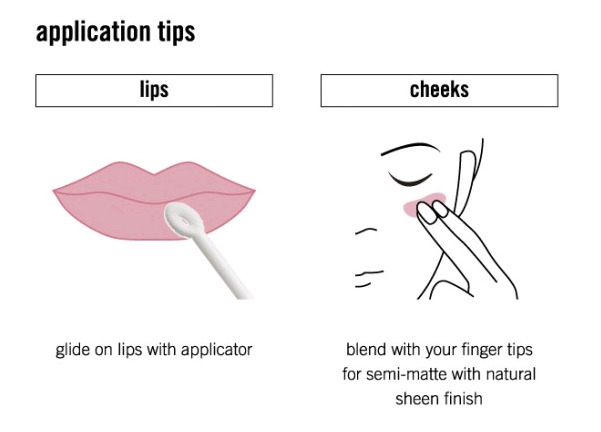 This application is perfect for the no-makeup look because of its soft matte finish. Which look do you prefer? The dewy stain look or the soft matte finish one? P/S: If you're into Korean Ulzzang makeup style, this product is perfect to make gradient lips and dewy cheek blush. Tint in Gelato is available at all Shu Uemura counter nationwide for RM90. Go to Shu Uemura to check out all the colors available and swatch it. The texture is pretty interesting. Looks like the lip/cheek product craze is here to stay. :D Lovely colour you chose. I think the full-on look is great for night or special occasions, while the subtle look is nice for everyday wear. the color look nice on you! dewy stain one!! because it make u look fresh and brighten up ur entire look!! Wow. Didn't know the color can turn out to be so huge difference! I love both of it because one is suitable for night wear while another one suitable for daily wear. Nice color you chose! @Laura: There will be more coming up from drugstore brands. @Cindy: Actually I'm not used to putting bright colors. Feel so awkward. @Jennifer: Yup. The color pigmentation can be controlled easily. Love the versatility. @Azwa: I prefer pigments than tint anytime. Go check it out!